I fell in love with the heavily embroidered tulle on this gown from Victorian Trading Company. 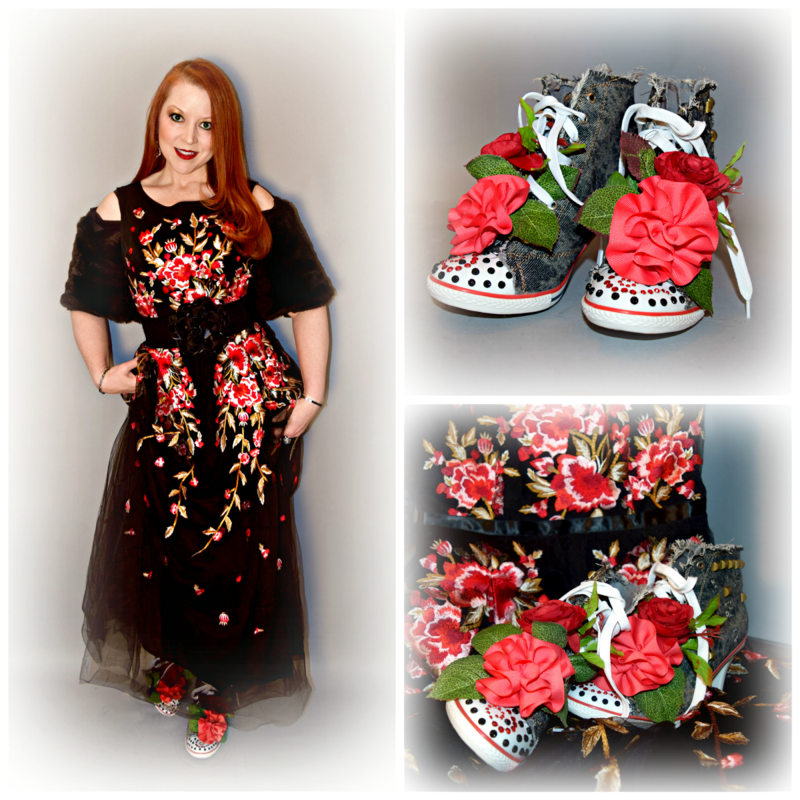 You know I wasn't going to pair any ordinary tennis shoes with a ball gown...I found the rubber soled heeled hightops on Amazon and blinged them out with crystals left over from one of my Halloween costumes, weaving silk flowers through the shoelaces to coordinate with the floral motif of my gown. 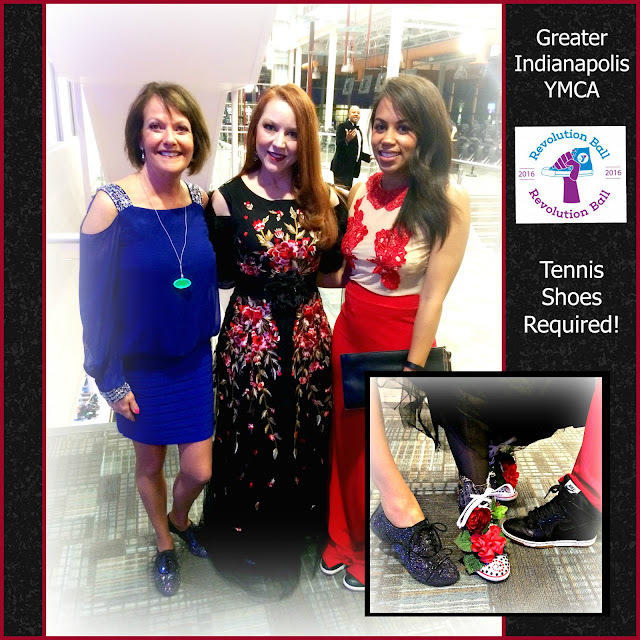 Tennis shoes would NOT be my first choice for a black tie event, but when it's a fundraiser for the Greater Indianapolis YMCA, gym shoes were the ONLY choice. It's the hallmark of the organization's signature annual gala, and was more important than ever this year because the event was held in the Y's state of the art new facility at City Way, which has some of the most beautiful hickory floors I've ever seen (gotta protect them from street shoes). The City Way Y also boasts one of a kind, museum worthy art installations. Of course, there is also a bevy of cutting edge workout equipment, though the venue was transformed into an ultra hip lounge for the night, belying its more utilitarian features. 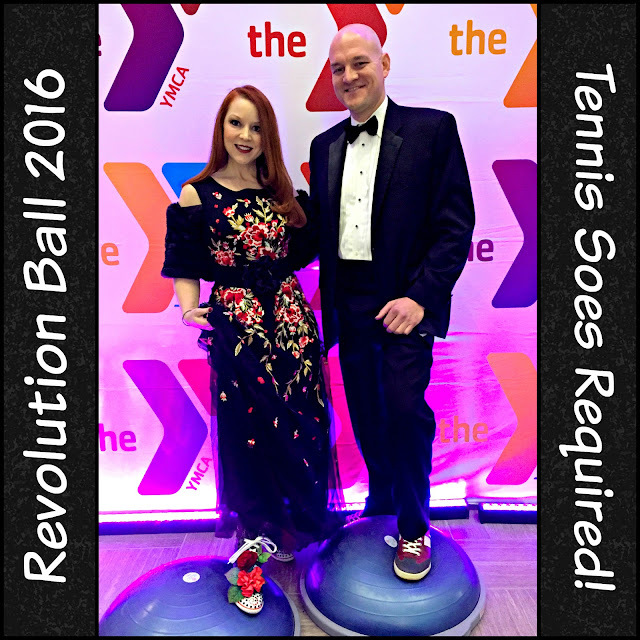 There were a lot of creative tennis shoe and tuxedo / gown combinations on display at the Revolution Ball - check out #revolutionball on Twitter to see all manner of sneaker swagger! My personal support for the Y was dedicated to the Flat Rock River YMCA Camp in Southern Indiana. It's the kind of Summertime sleep away camp I dreamed about as a kid; and being a camp counselor there was my idea of the perfect Summer job in college. Unfortunately, it was the perfect Summer job I didn't get, so I spent the summers waiting tables at Waffle House and selling suits in a menswear store while some of my best friends hung out in the woods and mentored youngsters at Flat Rock. I found out later that I didn't get a counselor role because a then casual acquaintance responsible for the selection process was afraid I might not be willing to get my hands and hair dirty. She didn't know at the time that I grew up on a farm and have a distinctive tomboy side despite my penchant for pretty clothes and sparkly shoes. That same acquaintance went on to become a college roommate and close friend who later admitted (around the campfire on a white water rafting trip in Kentucky) that her first impression about me had been wrong. I still wish I'd had the opportunity to experience a camp like Flat Rock first hand, and seeing how much joy it brings to several of my friends' children each Summer, I'm proud to support it. In fact, if Flat Rock offered a camp for grown ups, I'd be first in line! Barb Ellsworth (left) and Lindsey Anglin (right) also brought sneaker swagger to their Revolution Ball formal wear. Genius Tricks to Make Your Shoes Last Longer ... "Cream polish, in a neutral color, is best for shining shoes since wax can dry out leather," Joe Rocco, owner . Chilly Weather Hunting Boots. Boots, it could be said, are among the most incredulous of bowhunting hardware. Wet or solidified feet have sent numerous a . A lot of tennis players have experienced blisters in their feet. 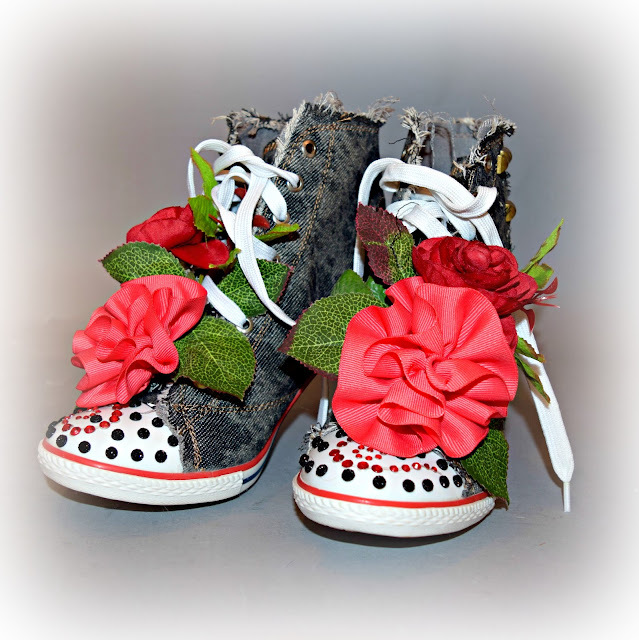 There are also those who have experienced wearing down tennis shoes often. On both instances, there is need to reconsider priorities and look for the appropriate tennis equipment.I find this web for Best Tennis Shoes for Flat Feet you can visit this site. You did a great work, nicely decorate the tennis shoe. jika ikutseo boleh memberikan penilaian untuk aqiqah surabaya, kami memberikan penilaian terbaik untuk jasa aqiqah surabaya terbaik dan terlezat, kami memberi nilai jasa aqiqah online 1000 berkah yang berpusat di Surabaya menjadi aqiqah surabaya terbaik. 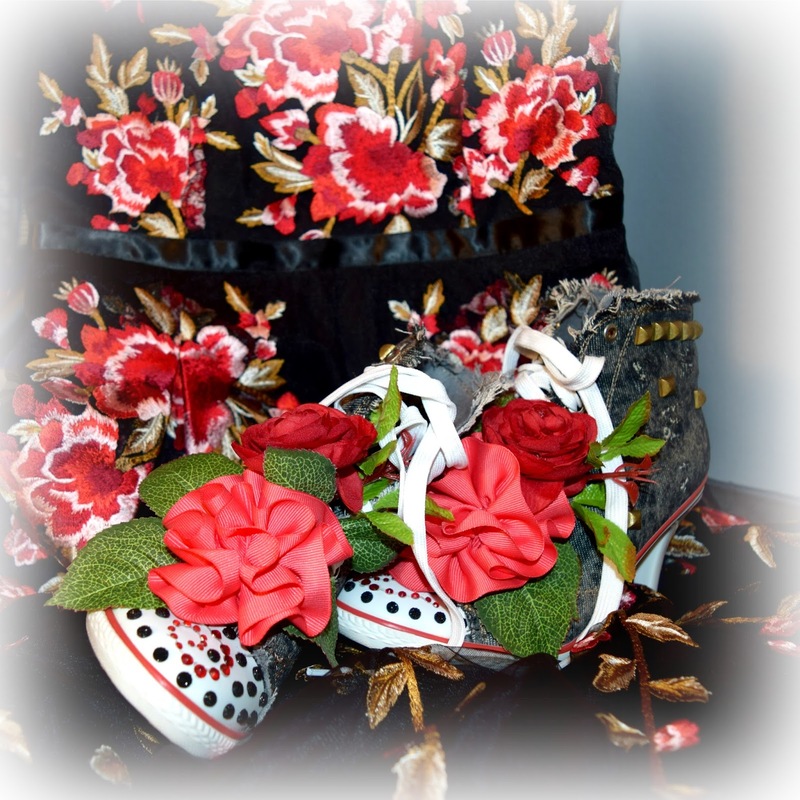 Tennis accessories and tennis outfits are more in demand nowadays, Especially tennis outfits and tennis shoes are quite popular and people are also making the trend of wearing tennis shoes outside the court also. Here in this article also, we have found some fashion trend wearing of tennis shoes. Thanks for such a fashionable post. Regarding the eagerness you put into your blog and abject data you give. Illegal bets always take place and develop in many accounts and create a parallel economy that is estimated to be over $200 billion.bet on sports with bitcoin online ..just click here andd enjoy..